At Waltham Vision Care we provide comprehensive eye exams, contact lens evaluations and treatment of most eye conditions. 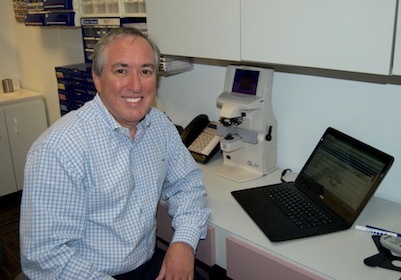 Dr. Lerner has many years of experience fitting specialty contact lenses for people who require prescriptions for astigamatism or bifocals. We also provide quality eyeglasses and contact lenses at competitive prices. We accept VSP, EyeMed, Tufts, BlueCross, Medicare, Medicaid, MassHealth, Neighborhood Health Plan, Harvard Pilgrim, and many other insurance plans. When calling to make an appointment please inquire about your particular plan. 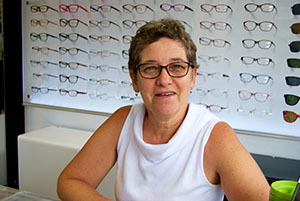 Whether your eyewear prescription needs are for eyeglasses, sunglasses, contact lenses, or no lenses at all (frames only), Waltham Vision Care is at your service. The practice was started in 1952 by Dr. Leon Ginsburg. In 1992 Dr. Lee Lerner took over the practice when Dr. Ginsburg retired. In 1995 we moved to our current location at 381 Moody Street in Waltham. We are continually updating and have some of the most modern computerized equipment avaliable. We have a pricing structure that is very easy to understand, fair, and with no bait-and-switch gimmicks. We believe people expect and want us to share our knowledge with them; they also expect to receive quality for their money. Waltham Vision Care is unmatched for providing the highest quality products with honest, straight forward service. We have managed to blend the sharing of our knowledge with our ability to bring you eyewear with a "no-gimmick" pricing structure. Waltham Vision Care is conveniently located on the corner of Walnut Street and Moody Street. Ample public parking with easy access is available from Walnut Street as well as one hour free parking along Moody Street. © Waltham Vision Care 2018. All rights reserved.